Published by Harper-Collins in 2011, The History of American Graffiti is the definitive story behind the most influential art form of the last one hundred years. Tracing the evolution of the medium from its early freight-train days to its big-city boom on the streets of New York City and Philadelphia, and to its modern-day influences, this book is a compelling look at the key moments, places, and players in an art form distinctly American in flavor yet global in its reach. 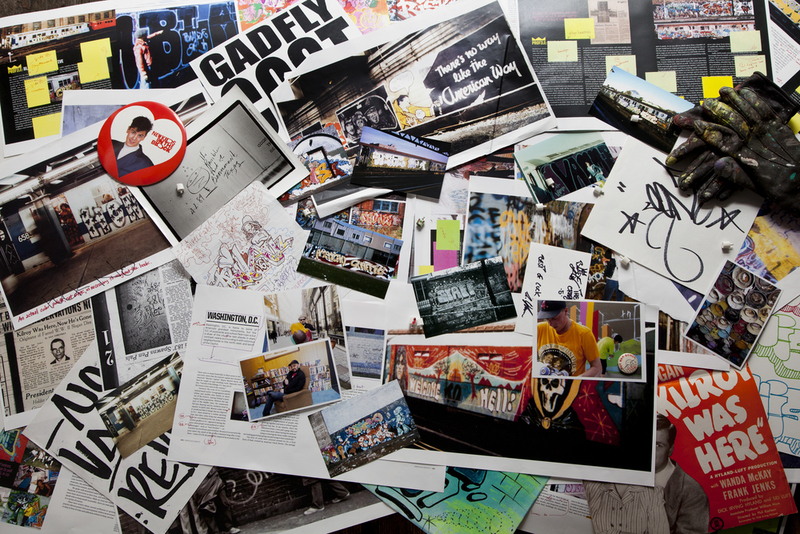 Featuring behind-the-scenes stories and profiles gleaned from more than four years worth of interviews with graffiti's most prominent names, as well as its lesser-known pioneers, Roger Gastman and writer/artist Caleb Neelon provide an insider's perspective on the history of the medium. In a feature article in Juxtapoz Magazine, writer/filmmaker Morgan Spurlock shared, "…This entire world has been dissected and brought to life in the most comprehensive and eye opening exploration of self-expression ever compiled…You’ll never look at a can of Krylon the same way again."